OMG, simply amazing. 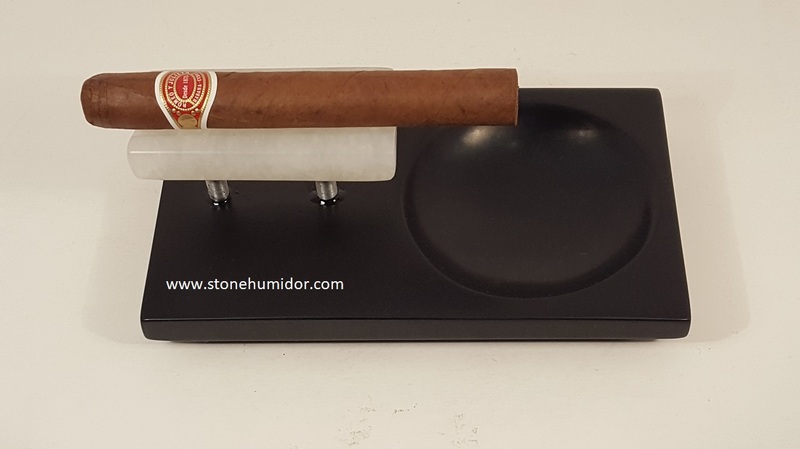 The name says it all with this unique signature creation. 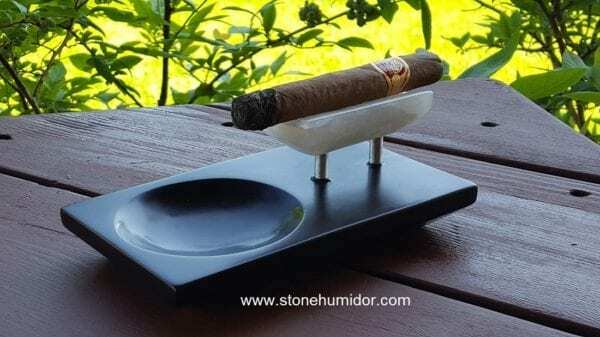 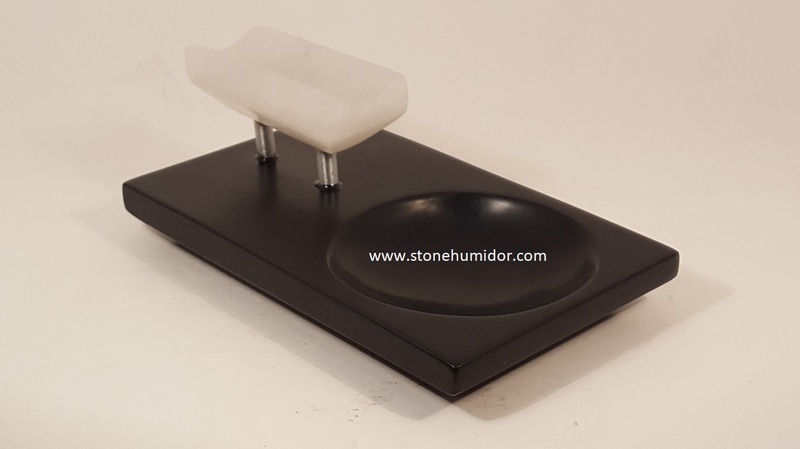 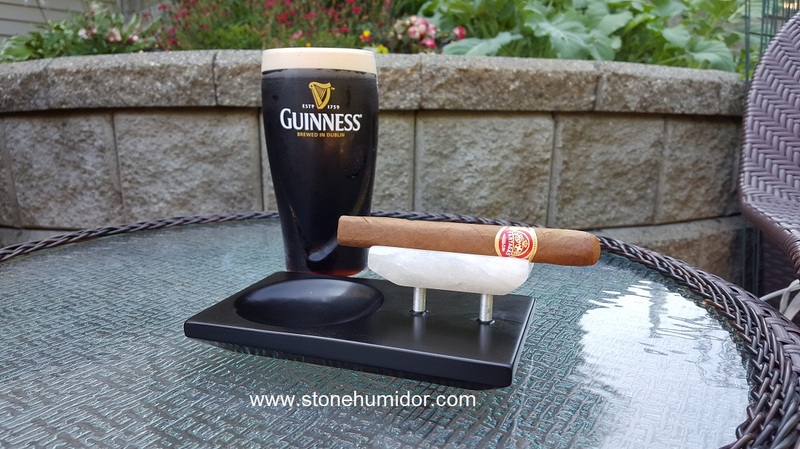 The base on this beauty is hand carved from African Wonderstone (Pyrophyllite) with the cigar placement holder being carved from translucent Italian Alabaster with brushed aluminum mounts. The African Wonderstone gives a beautiful black/dark steel gray appearance, while the Alabaster provides that beautiful white crystal look. 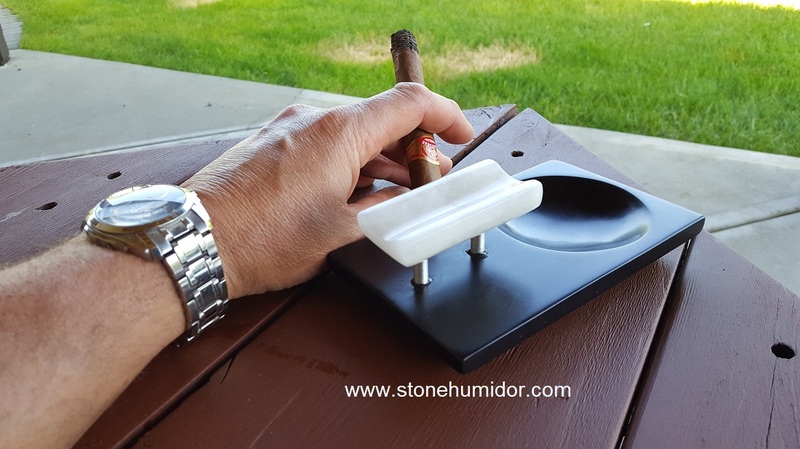 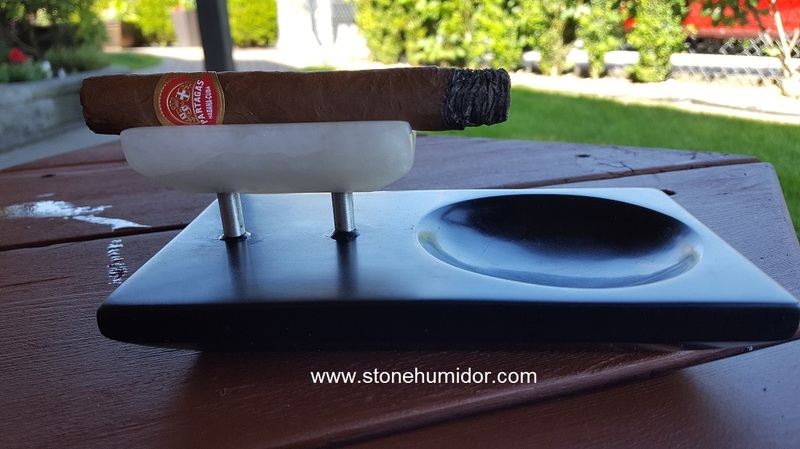 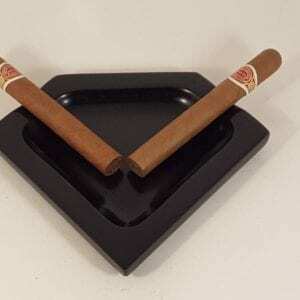 The raised cigar placement holder will give you that opportunity to gauge your cigar ash burn suspended above the actual tray. 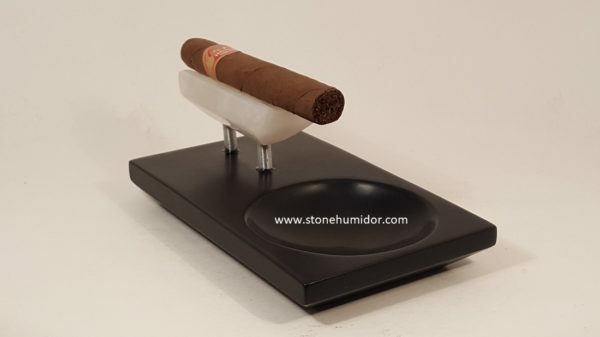 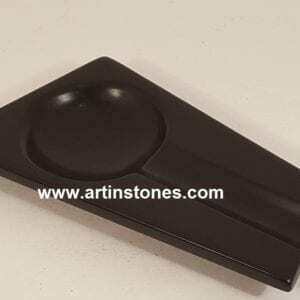 This is a single cigar ashtray, size approximately 6.625 inch (168 mm) long x 3.75 inch (95 mm) width x 2.75 inch (70 mm) height. 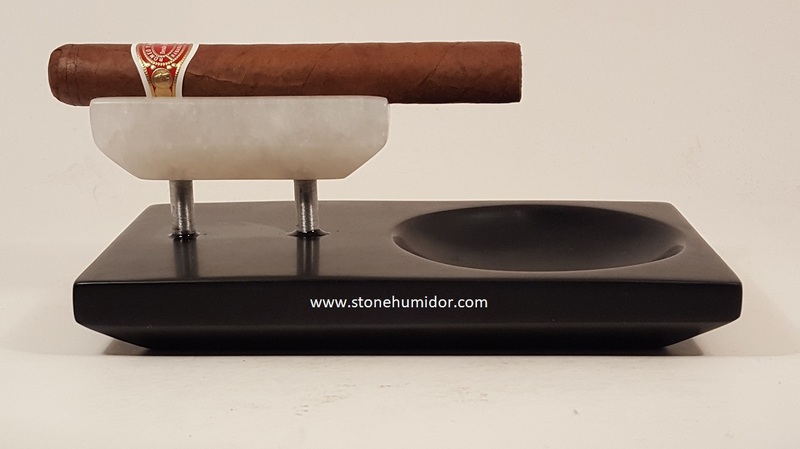 Weight 2.2 pounds (1 kg). 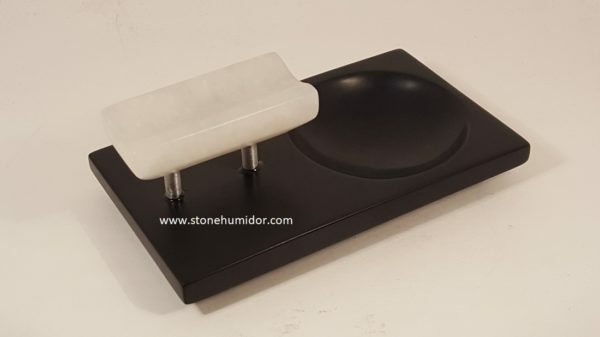 This is volcanic stone meeting alabaster crystal, simply stunning. 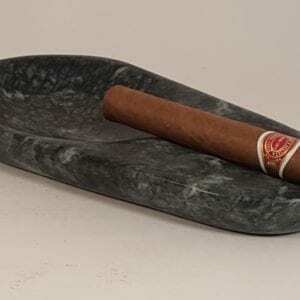 Designed and hand carved by the artist. 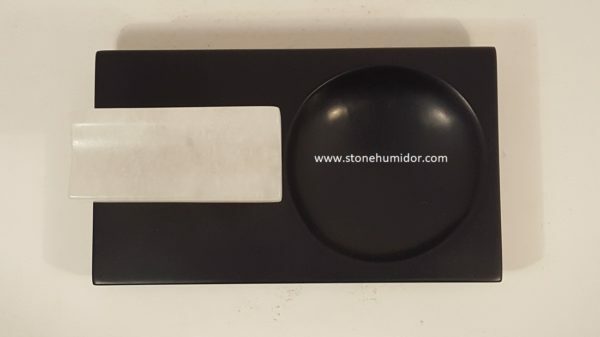 Artist certificate of authenticity included. 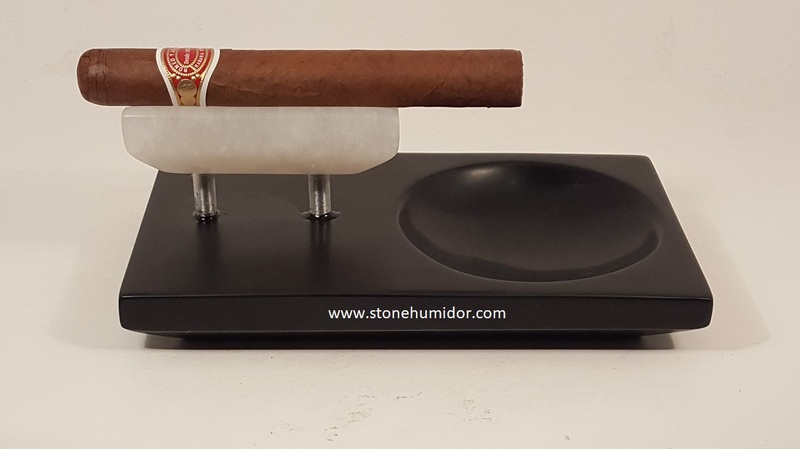 This will definitely impress your friends or other cigar aficionados.